Home News Volunteers for Heritage – Worth their weight in gold! Volunteers for Heritage – Worth their weight in gold! Europa Nostra calls for more support for the millions of volunteers in Europe’s heritage sector and for heightened awareness and respect for the immense social and economic benefits they bring us. 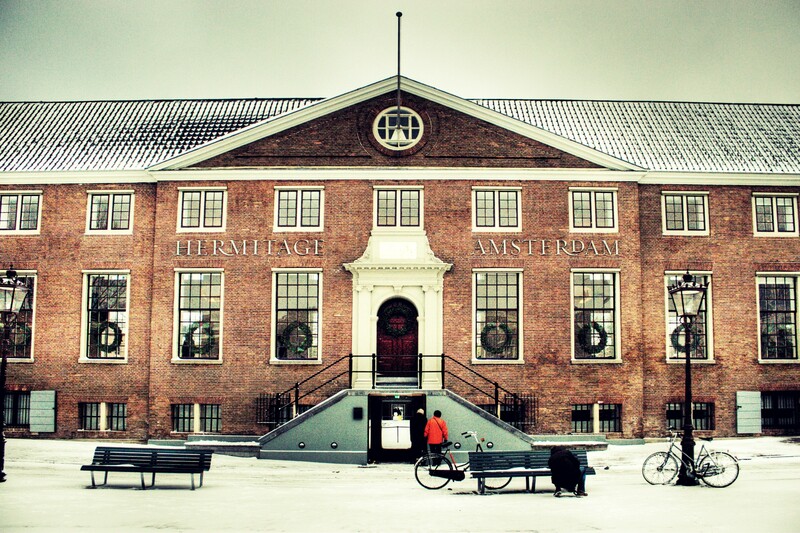 Europa Nostra members adopted the “Amsterdam Declaration on Volunteers as added-value for Europe’s cultural and natural heritage” during their 2011 General Assembly (11 June, Hermitage Amsterdam). This declaration reflects the conclusions of the Europa Nostra Forum “Volunteers: added value for Europe’s heritage” held the day before at Felix Meritis, organised in cooperation with Bond Heemschut and Erfgoed Nederland. Millions of volunteers give freely of themselves through their active participation in cultural heritage related activities, lending legitimacy to the existence of heritage organisations and showing the importance and relevance of cultural heritage to individuals and to society. 2011 EU Year of Volunteering was a chance for Europa Nostra to highlight the work of the millions of European citizens who volunteer for the benefit of cultural heritage in a myriad of functions and capacities. It devoted its annual Forum to discussing how important volunteers are for the heritage sector, as well as the concerns of heritage volunteers and the challenges of using their donated time, energy and skills in the most effective manner. • raise public awareness on the importance of volunteers for cultural and natural heritage and generate inspiration and passion amongst the citizens for volunteering. More than 200 participants attended the Europa Nostra Forum which took place on 10 June under the patronage of the EU Year of Volunteering, and with the kind support of the Dutch Ministry of Education, Culture and Science and of Felix Meritis. It was organised in cooperation with Erfgoed Nederland and Bond Heemschut. Executive Vice-President John Sell opened for Forum by discussing the results of a survey on heritage volunteers in the UK – estimated at 450,000 and extrapolated to numbering between 5 and 10 million in Europe as a whole – noting motivating factors for volunteers and the importance of clear information and instructions, social and engaging activities and tasks, and welcoming and light-handed management of the volunteers to keep them coming back. Linda Bouws, Director of Felix Meritis welcomed the participants giving a historical overview of the 225 year old venue, founded by 40 concerned citizens who built the concert hall and institute combining artistic, social and intellectual activities. Such actions of Dutch civil society formed the basis of the canal ring expansion of Amsterdam and created the wealthy and democratic society honoured with its recent listing as a World Heritage Site. Sander Bersee, Director of Cultural Heritage at the Nederlands Ministerie OC&W, noted that in the Netherlands 30% of the population volunteer in some capacity, of whom 200,000 in the cultural heritage sector. He noted the importance of praise and appreciation, in the Netherlands honoured at a national/Royal level, though volunteers remain organised at a municipal and club level. Lucas Meijs, Professor of Volunteering, Civil Society, Businesses and Strategic Philanthropy at the Erasmus University in Rotterdam, stated that volunteering is a pay rate, not a job description. He offered a fresh look at valuing volunteers’ energy as a natural resource, stressing the importance of not ‘depleting’ it, but rather ensuring its sustainability by answering the volunteers’ needs. Volunteers engage to provide needed social services, to participate in a social activity or setting, and/or to join a social cause they believe in. Dame Fiona Reynolds, Director of the National Trust for England, Wales and Northern Ireland, spoke as the head of probably Europe’s largest employer of volunteers. With a portfolio of architectural and natural gems, the National Trust manages 3.8million members, 17.7million visits to its properties, 418 paid staff and 3.5million volunteer hours. She spoke of the importance of keeping all people happy by good people management, developing opportunities and optimally exploiting volunteers’ skills and past experience to everyone’s best interest and advantage. Ann Branch, Head of Unit Culture at the DG Education and Culture, European Commission, praised the opportunity to explore the value of heritage volunteers as well as their issues of concern in this the EU Year of Volunteering. She congratulated the EU/Europa Nostra Award winners, many of whom are exemplary volunteers working for the benefit of Europe’s cultural heritage. The forum participants then divided into 4 parallel discussion sessions: Should I stay or should I go? ; How do we keep them happy? ; Who is the expert? ; and Listen to me! The conference was concluded by Alexander Rinnooy Kan, President of the Social and Economic Council in the Netherlands, and a panel discussion including feedbacks from the four discussion sessions with the rapporteurs and the opening keynote speakers. Mr Rinnooy Kan emphasised how a country’s cultural heritage – listed monuments and cultural landscapes – are important for sustainable economic growth and the continued vitality of our cities. As populations age, staying healthy and active to a much older age, there will be an increasing number of volunteers available to contribute their time and energy to heritage causes and acitivities. As Prof. Meijs concluded, we have to take care as we have the future of volunteering in our hands!